It’s been a busy week. Three major releases, between Sniper Elite 4, For Honor, and the kind-of-sort-of public release of Halo Wars 2. Maybe you’ll be playing one this weekend? Or just reading the news, like usual. 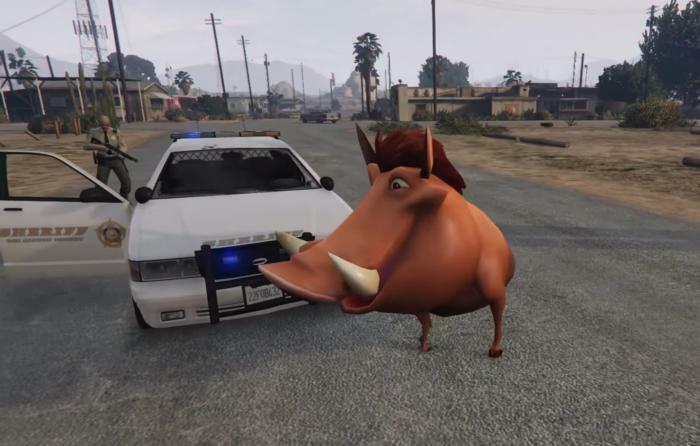 This week we’ve got Pumbaa headbutting the police in Grand Theft Auto V, a stealth-announcement for Payday 3, Hot Wheels in Rocket League, and more. This is gaming news for February 13 to 17. I don’t usually use this space just to talk about a new release on Steam, but I’m not sure I’ll get around to reviewing Hidden Folks (it’s been a busy week) and I think it deserves more attention. It's basically a Where’s Waldo/Wally-style game where you seek out specific people/creatures/objects within a very cluttered drawing—except everything is also animated, and certain objects can be pushed aside, opened, folded, or what-have-you. And all the sound effects are just mouth noises. It’s weirdly joyful, and a very pleasant way to spend a night or two. With the game’s Kickstarter campaign destined to fail, the developers made the call this week to take funding to a private site—and, in the process, the goal skyrocketed from around $700,000 up to $5.9 million. Oof. It’s amazing such an obvious cross-promotion took so long, but Rocket League unveiled some upcoming Hot Wheels DLC this week. Duh, right? Two cars, the Twin Mill III and Bone Shaker, will hit the automotive soccer field on February 21. Given the fact Starbreeze is still releasing DLC for Payday 2 on a regular basis, you’d be forgiven for thinking the game will live forever. Alas, it’s not to be—though I doubt the end is coming anytime soon. In our all-digital gaming future, the idea of post-launch updates is nothing new. Balance patches, new characters, new cosmetic items, whatever. But a new ending? Apparently that’s the case with Watch Dogs 2. People are pretty sure a new cutscene has been tacked on after the original ending, and keen-eyed observers quickly dissected it for clues—namely, a location. Map coordinates embedded in the new scene appear to reference London, so it’s a good bet for either upcoming DLC or (more likely) an inevitable sequel. Obviously there are spoilers in the below video, as it covers the ending of Watch Dogs 2. We covered the announcement trailer for Old Man’s Journey last summer for one key reason: It’s gorgeous. Half a year later, the game’s back with a new teaser and surprise, it’s still damn gorgeous. Can’t wait for this one. Hope it’s as good as it looks. Speaking of gorgeous games: Ni No Kuni II put out another video, this one showing off a bit of the overworld map and some of its Pikmin-infused combat. Okay, I don’t think they’re actually Pikmin, but come on, they’ve got to be distant relatives at the very least. Anyway, it’s pure eye candy. Grand Theft Auto V continues to be one of the best-selling games every month, and it has to be at least partially due to the PC mod scene. This week’s treat? A Lion King pack created by MrMarco1003 (and spotted by PC Gamer). You haven’t really lived until you’ve seen Pumbaa headbutt a police cruiser.